As an agent for Allied Van Lines, you have chosen long distance movers with a long history of providing the finest interstate relocations available. 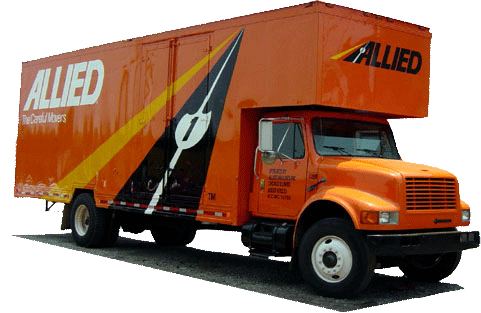 Allied Van Lines is one of the nation's largest movers, with hundreds of agents throughout the United States. We are there when you need us and where you need us, time and time again. Simonik Moving & Storage, Inc. has been an Allied Van Lines agent since its inception in 1977. We are very proud of our accomplishments within the Allied agency family over the years. We have grown to be one of Allied's "TOP 1%" agents in the country in booking interstate business for the private transferee. With over 3,000 vehicles in the Allied system, you can rest assured that your possessions will be picked up and delivered when promised. Our air ride suspension trucks ensure your belongings do not incur any "bumps in the road," and our highly-trained drivers are experts at securely relocating goods - even when traveling over long distances. Our courteous and friendly Moving Consultants will customize your pricing to fit your needs and budget. All of our estimates and guaranteed prices are accurate, competitive, detailed and computer generated for easy comprehension. You can choose which of our long distance moving services you will need, which include packing, crating, storage, vehicle shipping, unpacking and debris removal, third party services and more. For any moving need you may have, Simonik has your solution. Fill out our online quote form today to get more information about our capabilities as long distance movers.